Today, I have my diagnostic tests to find out if I have cancer in my remaining breast. Or, maybe I should say, to find out that I don't have cancer in my remaining breast. It's always good to frame your words positively. All cancer patients wish they could see into the future during these anxiety-producing test times, and I'm no exception. What is going to happen to me is the defining question of our lives. So, after countless hours online, searching for stories of those who had new cancers diagnosed 3 months after chemo, of reading stories of recurrence and herceptin failure - and mostly stories of false-positives and relief, I decided to get a definitive answer to my future. 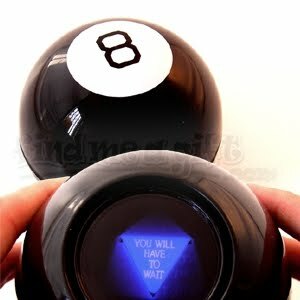 Could there be a more accurate 8-ball reading? Wait. It's what's for dinner. And, it may not be over today. It is possible I won't know more after my appointments than I do right now. If the test shows it's definitely benign, I should know that. If it shows definite cancer, I should know that as well. It could be indeterminate, and then I will have to wait for a biopsy to know for certain. It's true that until those cells are on a slide, there is no way to know for sure. But, in some cases, it's very clear. If he sees a spiculated mass - well, there isn't much else that causes that than cancer, to my knowledge. It was a radiologist who told me the first time around, and a biopsy confirmed what he already knew. I will tweet anything I hear today, so check my twitter feed on the right for an immediate update. Thanks to all who have wished me luck - I appreciate it. Ann, best of luck with your tests. I'm following your tweets. Keep the good news coming. Hooray! Just saw the good news on your Twitter. I'm breathing a sigh of relief with you. 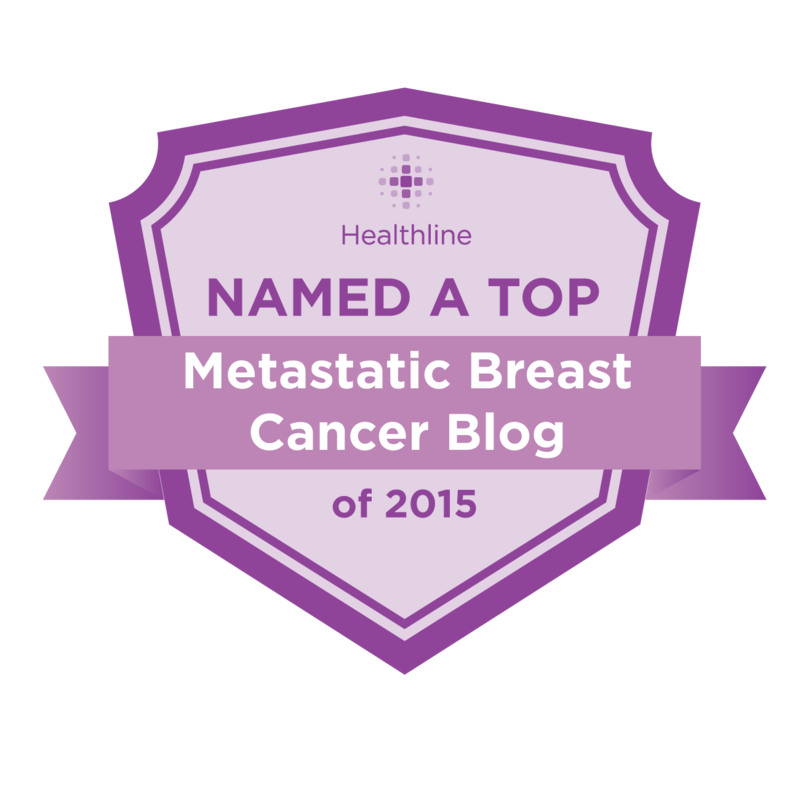 I found your blog before I was even officially diagnosed with BC, still in the testing phase. I read it from the beginning and it was so encouraging how you were able to proceed through the roller coaster of breast cancer with humor, grace and positive attitude. It's been a great inspiration to me as I start on this journey myself so thank you!